It happened last Monday, April 8. First, a Chinese steel-hulled boat ran into a highly endangered coral reef in the southwestern Philippines. The accident happened at the Tubbataha National Marine Park, a UNESCO-designated World Heritage Site on Palawan island. But the environmental destruction gets worse. Inside the vessel the coast guard investigators found more than 22,000 pounds of meat from the pangolin, or scaly anteater, which is a protected species. 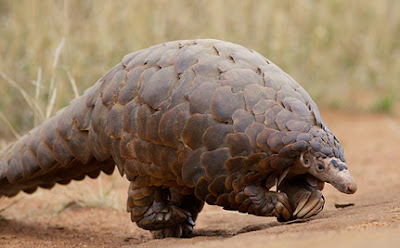 The Chinese pangolin is highly prized for its meat, and is also hunted for its skin and scales, which attract high prices both in China and in international markets.